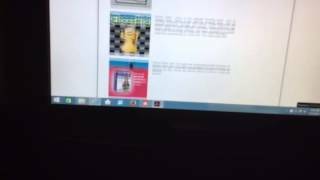 **Disclosure: This post contains affiliate links and I will be compensated if you make a purchase after clicking on my links. "Make way for the new Apple iPhones by trading in your old iPhone to Gazelle! Apple's next-generation phones are expected to be unveiled next week and have faster processing, more RAM, and integrate the Force Touch technology found in the Apple Watch and some MacBook models. So out with the old, in with the new, as they say! 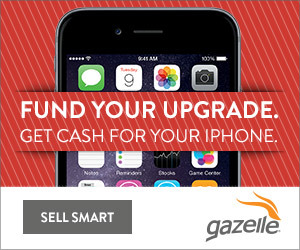 Trade-in your old iPhone at Gazelle — they'll even pay you cash for it!" 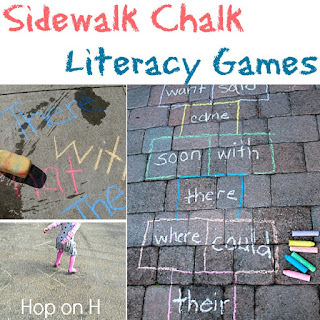 Congratulations to Emma at P is for Preschooler for her Sidewalk Chalk Literacy Games post! Thanks to Self-Publishing School for being this week's Sponsor! 1. Sign up using my affiliate link. This will get you $15 off. 3. Fill up your cart to at least $50. 4. Use promo code #schoolasummer to get 50% off your order (bringing your total to your $25 balance) and you also get free shipping! I did this and ordered 6 shirts for my oldest son and only spent $0.53! This actually works! I'm not sure how long these deals will be available though so try to use them soon! Schoola is also a phenmoneal company because 40% of the profits funds school programs for children. Have you heard about thredUp.com? It's like a consignment shop online with children's clothes! Sign up above and get $20 off your first purchase! Shop at thredUP and save up to 90% on like-new styles from brands you love: J.Crew, Anthropologie, Mini Boden, Crewcuts, Kate Spade New York, and more (25,000 more, but who’s counting). P.S. If you join through my link, I'll get a $20 store credit also! I hope you all have a wonderful back to school season and wishing an amazing school year for you and your children! Wow, where did this summer go? Tomorrow starts our first day back to homeschool and I have a Pre-K and a First Grader this year! I am very excited for all the fun things we will learn this year. I hope you and your family have had a fantastic summer vacation, and wish you all the best of luck in your homeschool or back to school events! Thanks for stopping by today and I can't wait to see what you all will share! This week's sponsor is Vocalpoint and SHEBA, and how making the #SwitchtoSHEBA will give your kitty quality ingredients to eat. 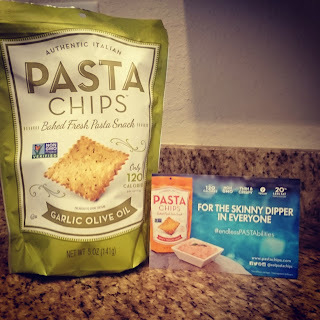 Check out my article on how much my kitty loved this food! 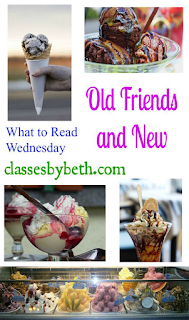 Congratulations to Beth at Classes by Beth for her Old Friends and New (What to Read Wednesday) Link Party. Beth offers wonderful articles and tips on her site to help students learn in a fun way. Disclosure: This post is sponsored by Vocalpoint and SHEBA. All opinions are my own. "Did you know that SHEBA cat food has no fillers and meat is always the first ingredient on their cat food? This means that your kitty is getting more protein and less fillers. We don’t need to be carb loading our kitties with fillers! Switch to SHEBA!" Our puppy was not too happy that the package that arrived at the door was not for her. I love that this says to "Stop Carb-Loading our Kitty." Our pets are like family and I want to make sure they eat well like we do. We started to get her attention from her nap when a bowl was introduced to her. The kit contained four samples of kitty food for her to try, a cute bowl and some awesome coupons so I can go get her some more! The proof is in the pudding, or actually the cat food in this case! 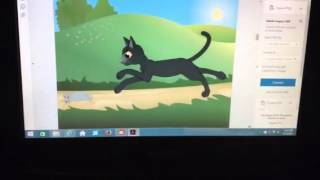 Watch the video above on how much my kitty loved the SHEBA cat food! I believe my kitty loved the food because of the quality ingredients. Thanks to Vocalpoint and SHEBA for sponsoring today's post! I was sponsored by Blue Manor to review their Christian Preschool Curriculum and am excited to share my experience as well as an awesome giveaway! All opinions are mine alone. For more information please read my full disclosure. This post also contains affiliate links and I will be compensated if you make a purchase after clicking the links. Thanks for supporting my site! Hey all! 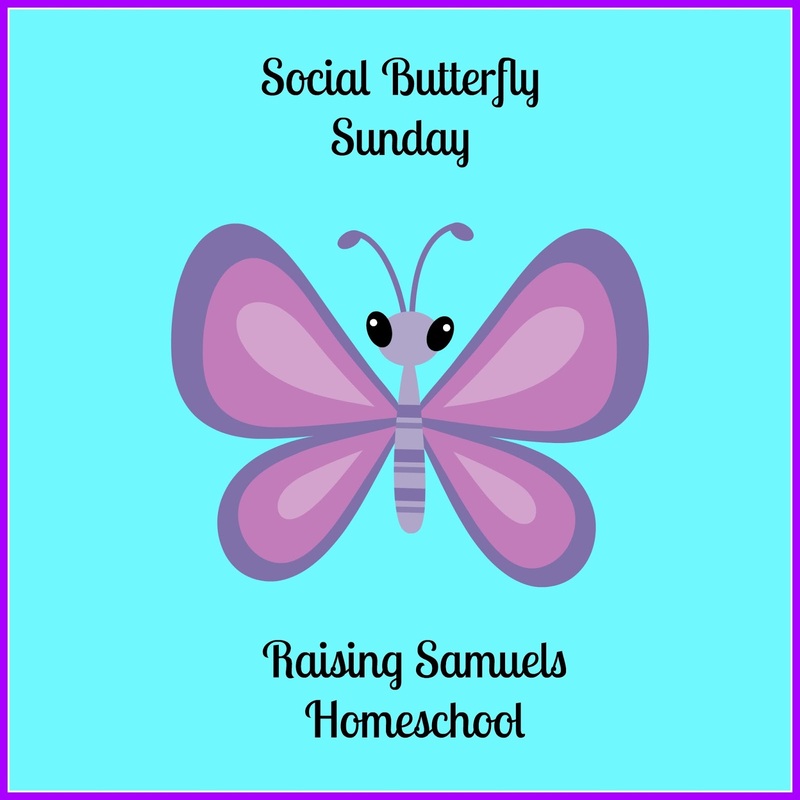 We are getting ready to jump back into homeschool for the year after a fun and busy summer off. I am so honored to be able to share this review on a curriculum from a wonderful company. With it being Back to School time, I thought it would be fun to do a giveaway, and am thankful for Blue Manor Education for sponsoring the giveaway! I had the privilege of reviewing Blue Manor 1st Grade eBook Curriculum a few months ago, and I can't tell you happy I am that I get to tell you about their Christian Preschool Curriculum! I love their Missions Statement which is, "Let us raise sons and daughters whose legacies honor our families and glorify God." I am proud to say that I will be using both the Blue Manor 1st Grade eBook Curriculum and Blue Manor Preschool eBook Set this year for my four year old and six year old sons. 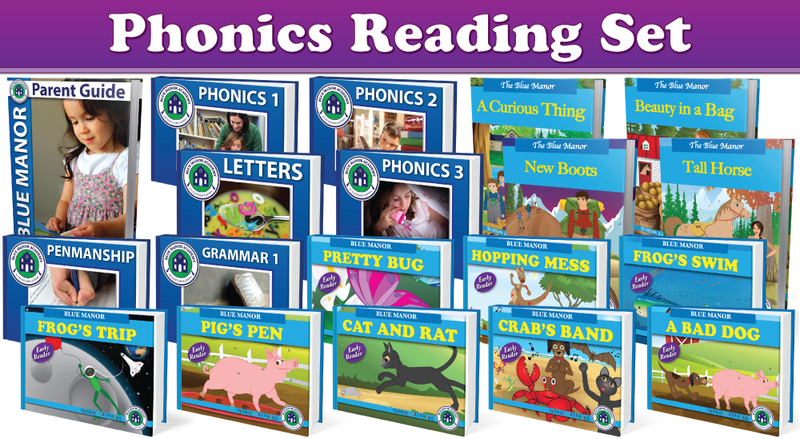 Check out this video on one of the Phonics Readers! Blue Manor Preschool eBook Set is a Christian Preschool Curriculum set that includes 23 individual eBooks and a teaching manual for teachers or parents. 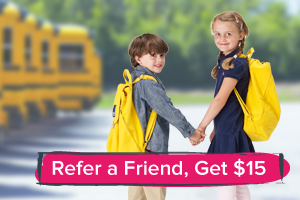 There is also a Bonus Pack that includes a 3 month premium membership at Splash Math, Chess Kid, and Lesson Trek, plus 3 free lessons from See The Light Art. The combined value of this Bonus Pack is $81! learning together with a parent, teacher or sibling on the computer! Some of the eBooks in the Blue Manor Preschool eBook Set include Biblical stories, teaching about Manners and Responsibility, Readers and Phonics, and also Weather, Money, Shapes, Colors and More! Blue Manor recommends teaching students at this age 3-5 days a week, and 2-3 short lessons each day that are less than 30 minutes. I think that this is a great idea because their attention spans at this age don't last longer than that, and it becomes a frustration for both child and adult if a parent or teacher tries to push for more than this. Check out this video on what is included in the curriculum and an inside peek of some of the ebooks! There is attention to detail in this curriculum and a compassion for a child's learning. There are colorful pictures and fun stories that catch a child's interest. 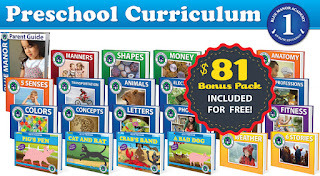 The curriculum is easy to teach and it allows child and teacher, or child and parent to enjoy the learning together. It is amazing to see the "light bulb" go off when I see my sons grasp a concept! That is one of my favorite parts of homeschooling is being able to see that, and have them want to learn more. I would highly recommend this Blue Manor Preschool eBook Set to anyone who is a preschool or pre-K teacher, or a homeschool parent with a child that is 3-6 years old. I am excited to use this curriculum this year with G, my four year old. Thank you to Blue Manor for sponsoring today's post and giveaway, and for giving me such a fantastic curriculum to use this year for my sons! 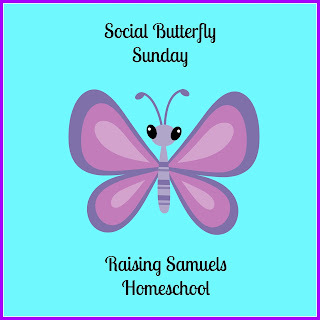 Blue Manor has graciously offered Raising Samuels Homeschool readers a 50% sale on the Preschool curriculum set. Use Code BACK2HS50PREK . Offer ends August 31, 2015. Congratulations to Anne E. who won the Kindergarten curriculum! Anne has been emailed with the information and I am excited for how many of you entered the giveaway! Don't go too far; more giveaways are coming soon! Disclosure: Tyndale House Publishers has provided me with a complimentary copy of this book in exchange for an honest review. War Room is an extraordinary book about living a life in today's world. To the outside world, everything looks perfect for a married couple named Tony and Elizabeth Jordan. Their struggles run deep though to problems in their marriage, home and family. There are real life situations presented including temptation and deception, but there is the best solution presented. Elizabeth meets Miss Clara, an older woman who calls herself a prayer warrior and shows Elizabeth her War Room. The War Room is Miss Clara's favorite spot in her home, where she goes to pray for others and herself and talk to God. Elizabeth soon discovers the power of faith, prayer and the belief that God can do mighty things in our lives once we invite Him in. She even creates her own War Room! This book brings about emotions that many people can relate to. It is told from the perspective of the three main characters mentioned, including the husband, Tony. Tony does the biggest turn around in this story, thanks to the power of prayer. There are many parts that are down right funny, and other parts where my heart was pumping in anticipation to see what would happen next. There are unexpected twists and a powerful message delivered at the end of the book. I very much enjoyed this book, and would highly recommend it. The book also has some color pictures of the film it is based on, so you get more of a visualization of who the characters are and what they look like. This book can be appreciated by anyone, especially those going through a hard time in their lives. It offers hope and encouragement, and the understanding that you are not going through things alone. I had heard the term, payer warrior at my old church and it is no joke. 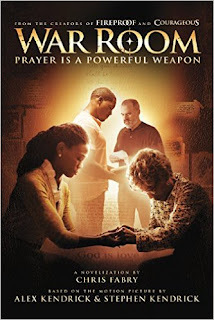 The full title of this book, is War Room: Prayer is a Powerful Weapon. Prayer is powerful, and it is a weapon against the devil. When we pray, we show God the faith that not only do we believe in Him, but also that we want His will done in our lives. Speaking from experience, prayer has saved my life and my family in so many ways. I thank God everyday for the ways He has changed my life. To find out more information on this book or other titles available, please check out Tyndale House Publishers. I was so excited about reading this book because it is based on a Motion Picture by Alex Kendrick and Stephen Kendrick, who co-wrote amazing Christian films such as Fireproof, Courageous, and Facing the Giants. The movie stars Priscilla Shirer and Beth Moore. If the movie is anything like the book (and I think it will be from seeing the movie trailer), people are in for an eye-opening journey that will leave you with a tear in your eye and cheering for joy! 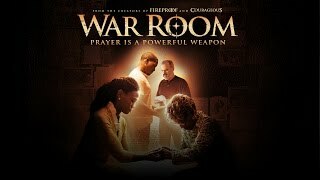 To see more on the movie, go to warroomthemovie.com. Click here to check out the official movie trailer! Out in theatres August 28, 2015! Disclosure: This post may contain affiliate links and I will be compensated if you make a purchase after using these links. Thanks for supporting my site! 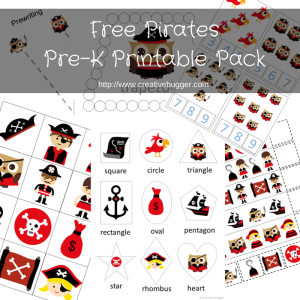 Congratulations to Sarah at Creative Bugger for her Free Pirates Pre-K Printable Pack. Disclosure: Over the next 30 days, I will be reviewing www.Science4Us.com. Science4Us is an engaging, elementary science curriculum that teaches science using a fun, interactive approach. If you have your own blog and would like to review Science4Us, check out their homeschool review program. Make sure to come back and read my full review. Disclosure: As a Member for the Parent Training Center Blogger Launch Team, I received a copy of this product in exchange for my honest review and promotion. This post also contains affiliate links and I will be compensated if you make a purchase after clicking the links. Thank you for supporting my site! Dr. Scott Turansky and Joanne Miller have an outstanding compassion and understanding of how the heart works to motivate not only a child, but also the parent. When you say the title aloud, it sounds like "Parenting is hard work." I don't believe this play on words was a coincidence. Parenting is hard work. With the techniques of these amazing authors, parenting becomes about connecting with a child's heart. This then establishes a respectful relationship, where both child and parent learn what works best for their family. 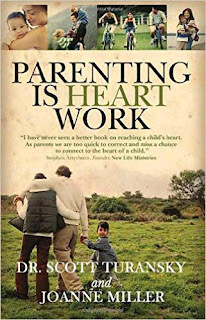 Parenting is Heart Work is a book that can be read individually, or as a group discussion with other parents. There is a reader's guide at the end of the book that can be broken down into a ten or thirteen week study. Each chapter opens up with a Biblical story and how it can be applied to parenting. It also gives examples of many relatable scenarios we run into as parents today, and how to solve them from a Biblical perspective. The chapter then closes in a prayer. The first chapter opens up with 1 Samuel, a book in the Bible I can relate to and hence the reason for my blog name! The flow of the book is understandable and is almost like having a close friend there to give advice. There is scripture quoted throughout the book, and reading the scriptures and the prayers, just brought about a sense of peace with parenting. I would highly recommend reading Parenting is Heart Work to anyone who is a parent or who is getting ready to become a parent. These books by Dr. Scott Turansky and Joanne Miller have improved my parenting skills, and also my marriage. It is hard starting out as parents, because both adults come from two different sets of how their parents parented. Marriage is team work, and parenting also has to be a team effort. Reading these books, my husband noticed a change in the way I was relating to my sons, and so he changed his parenting skills to mimic mine. We are relating to our sons' hearts and not just correcting or disciplining without explanation. It is important for children to know why they are being corrected, because it then establishes them as responsible adults later in life. Relating to their hearts and their individual ways of learning also shows them how much we love and care about them. 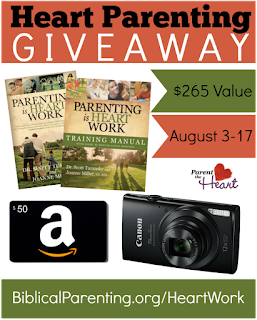 Parenting is Heart Work is full of practical and wonderful parenting techniques that will last for a lifetime. Everyone has to learn to live within limits and it’s best when children learn it young. 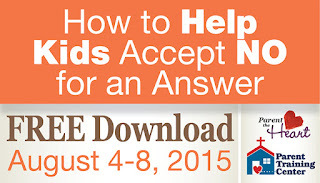 Accepting no as an answer teaches children the valuable heart-quality of contentment. Children have many manipulative techniques to challenge a no answer including, whining, badgering, and arguing. If you see these bad habits in your kids, this session will show you exactly what to do to bring about the change both you and your kids need. Disclosure: This post contains affiliate links and I will be compensated if you make a purchase after clicking through my links. Thanks for supporting my site! In case you're not familiar with The Honest Company, their story, and their products, it's my honor to enlighten you. Born out of their frustration to find such products readily available, they decided to join forces and create their own under the name, The Honest Company. The Honest Company's goal it to deliver the best family essentials to your doorstep; to simplify your life and bring more delight to your every day. Their product offerings are vast and include things like stylish, eco-friendly diapers; organic infant formula and feeding supplies; premium non–toxic personal care and home cleaning essentials; vitamins, baby gear, and more. At their core, Honest's underlying philosophy is: Together we can make it better.